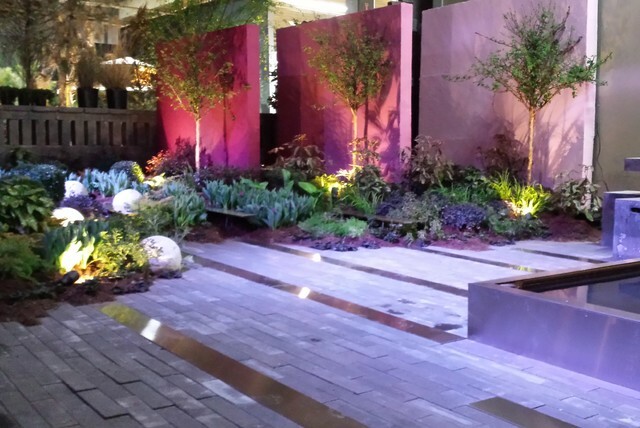 This garden was designed for a spring home and garden show. The contemporary design features custom subway tile style pavers with inlaid stainless steel planks, a stainless steel water feature and stained concrete walls. Photo by Jay Sifford.